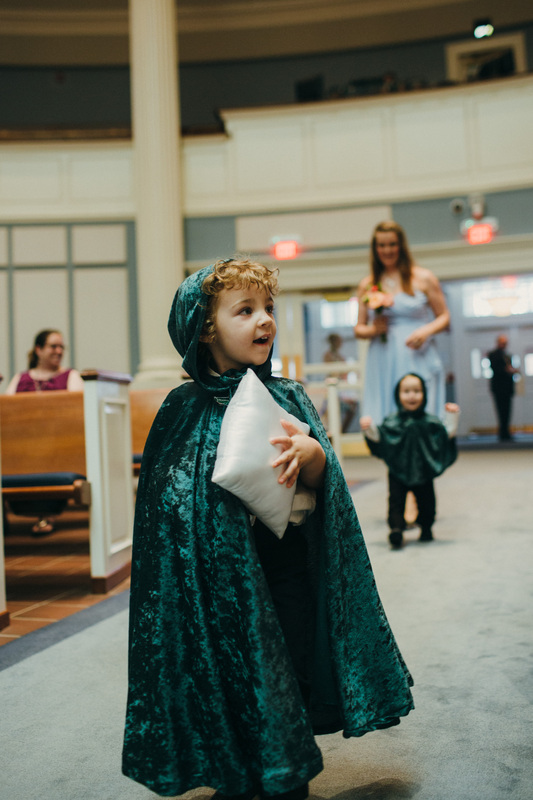 I have loved the Lord of the Rings books and movies for years, and so we decided to add a hint of that genre to our wedding by having our five nephews come down the aisle as the “Fellowship of the Rings.” They all received flowy elvish cloaks and ring bearer pillows. 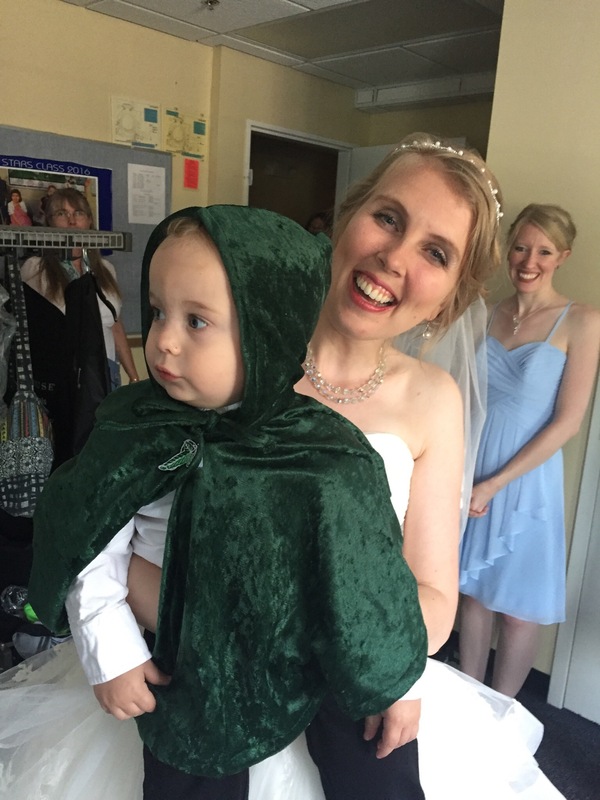 First I researched cloth that flowed like the capes in the Lord of the Rings movies; I decided on a rich green color of crushed velvet that would go well with the bridesmaids’ blue dresses. I found the cloth in the costume cloth section in Joanne Fabrics. 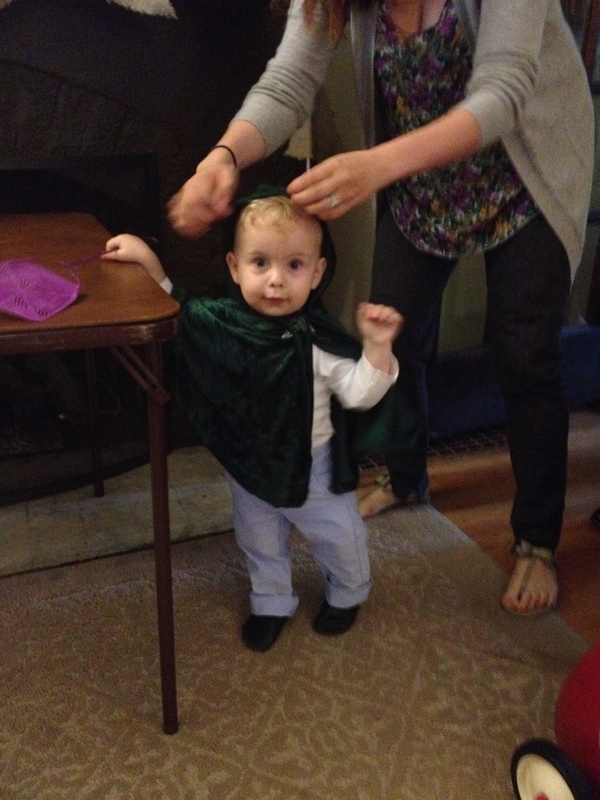 I had to research about what to do for the elvish leaf pin that holds the cloak together at the throat, and Etsy was the place to find a kid-friendly option. On Etsy, at an embroidery shop, I found patches that I could sew on to the cloaks and so that were would not be any sharp pins to deal with. 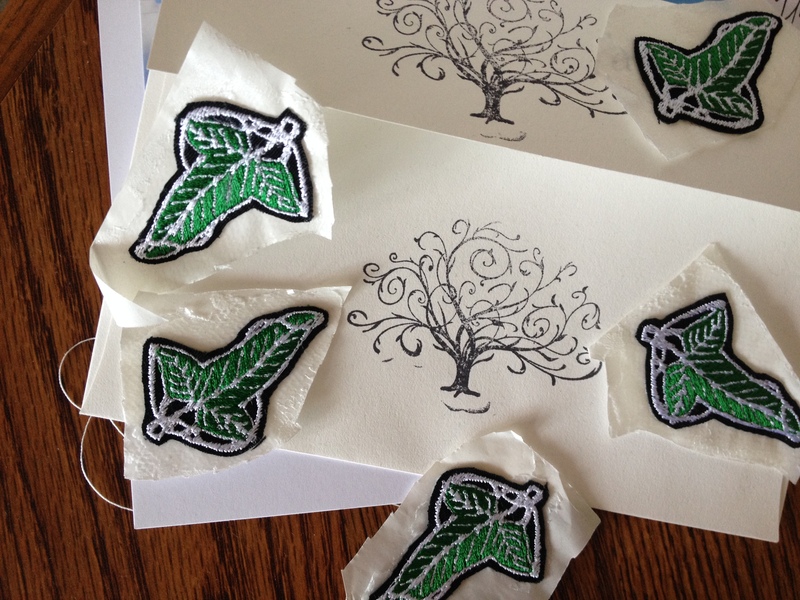 (Check out the Etsy shop here: Elvish Leaf Patches). I drew some sketches based off looking at cloak pictures on Etsy, and I figured out to have a full cape, I would cut the cloth into a big circle, cut one side in and cut the head hole out of the middle. I made long hoods, and that took some adjustments, but I just had to make them large and floppy. A month or two before the wedding (so that I would know the kids’ approximate heights) I cut the cloth, sewed up a demo, and had my nephews try them out, with the help of their moms. I adjusted the neck sizes, and then started production of five capes! 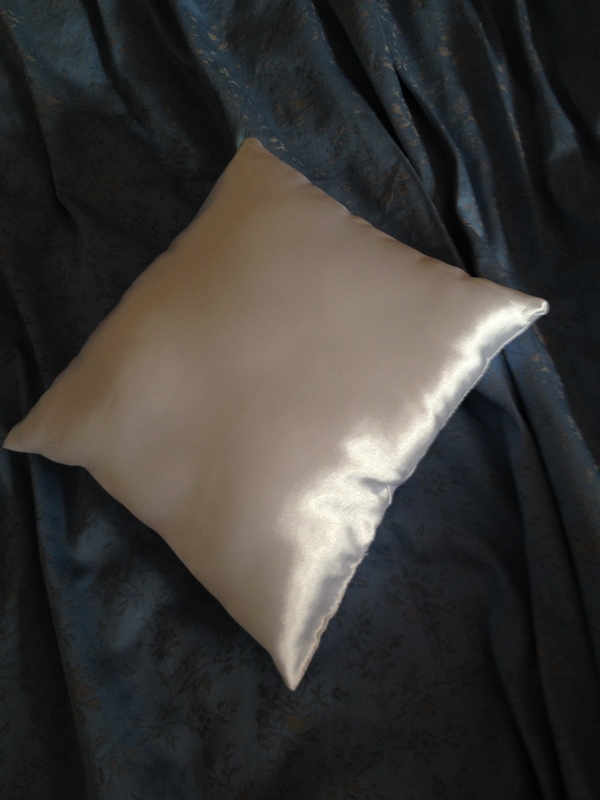 I used ties and Velcro to close them, with the Elvish leaf sewed on top. 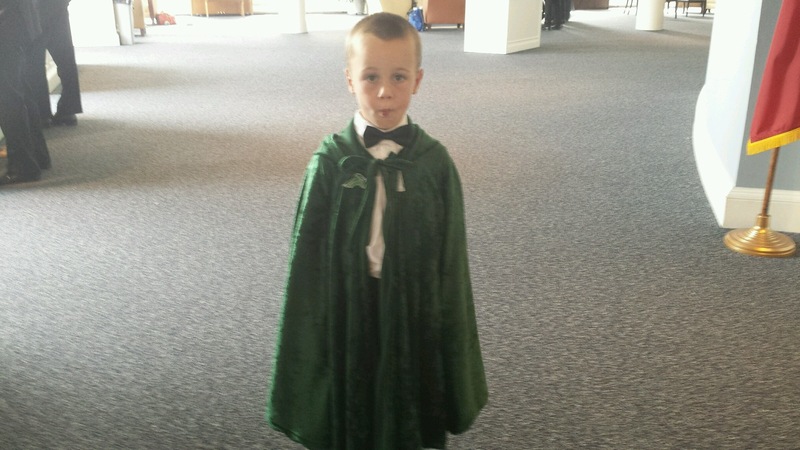 The boys did not wear the cloaks for very long, but having them wear them made me so happy! My sister-in-law had to bribe my nephew to keep it on, but he did. The one-year-olds were fine wearing them. 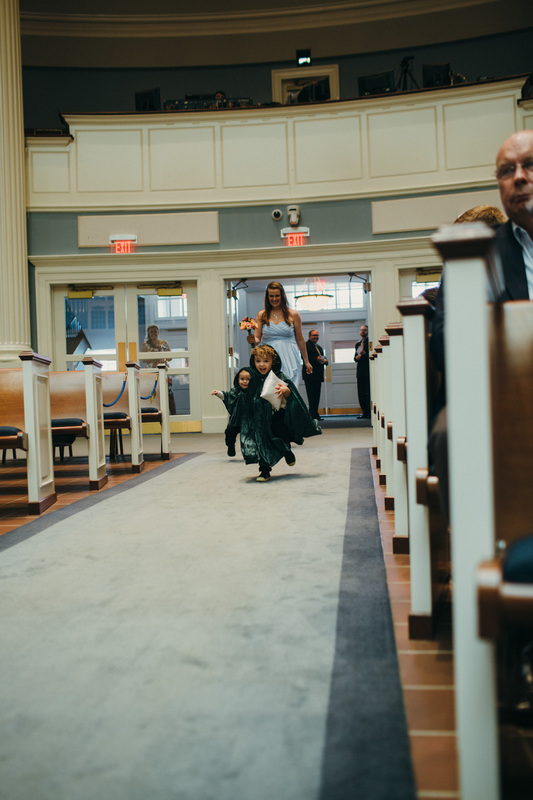 So on my wedding day, my brother was about to walk me down the aisle, Stephen’s brother walked his three little elves down aisle, and then my sister followed my two nephews down—and they both took off sprinting down the aisle! 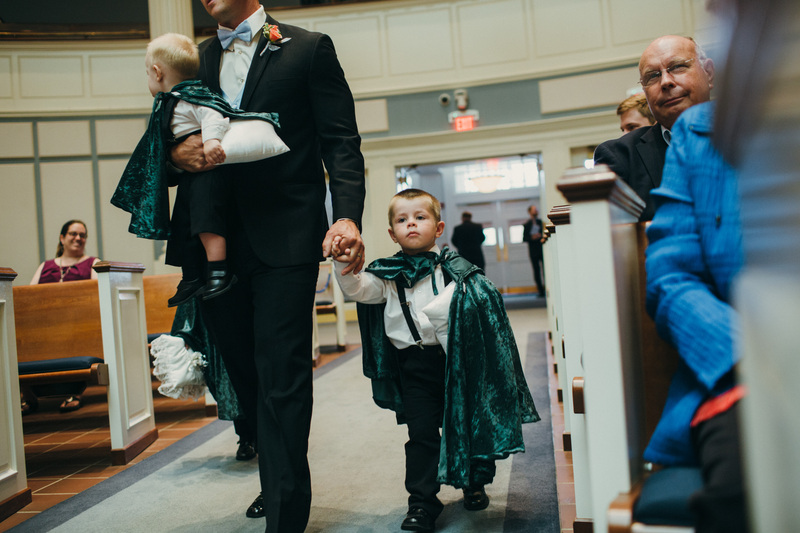 My nerves were calm, and seeing those little boys tearing down the aisle in their green capes made any last traces of nervousness leave. 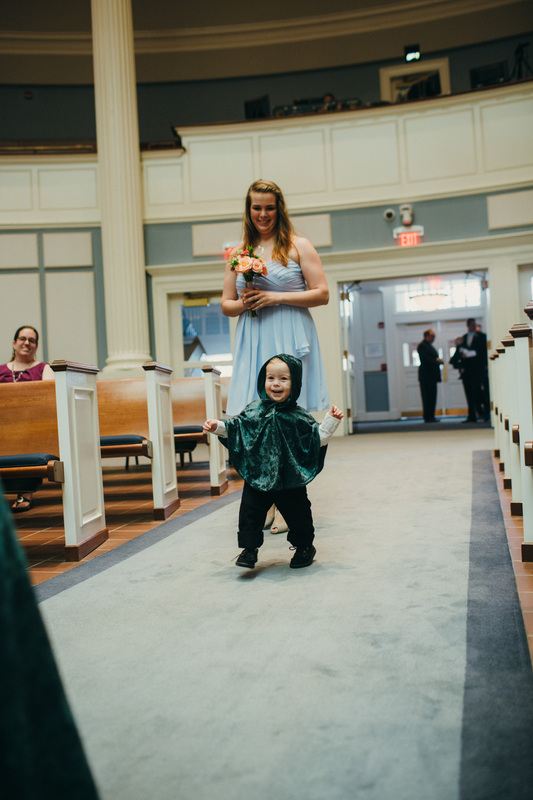 Then I floated down the aisle and married my best friend. Our photographer, Ryn Manby (these images are from Ryn Manby Photography) caught some wonderful images our Fellowship of the Rings! Seeing these photos just makes me smile. Enjoy! 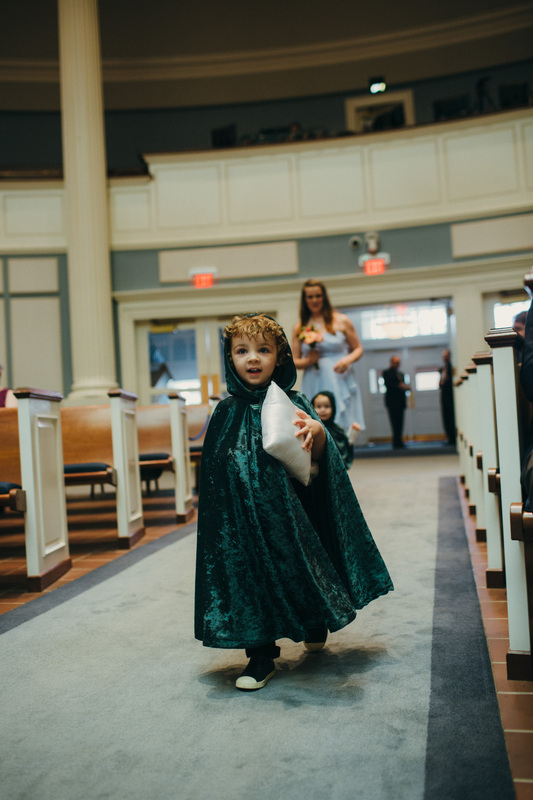 Categories: Acceptance, Children, Wedding | Tags: Elvish cloaks, elvish cloaks used in a wedding, how to make elvish cloaks, Lord of the Rings cloaks, Lord of the Rings wedding, wedding, wedding style | Permalink. The kids are so adorable!